With an abundance of wonderful places to visit dotted across Yorkshire's spectacular landscape, it's sometimes hard to know just where to start. So we thought we'd sum up five of the best! If you're in to your history, these are for you! This stunning ruin is all that remains of the former Cistercian abbey that was built in this remote valley of the North York Moors. 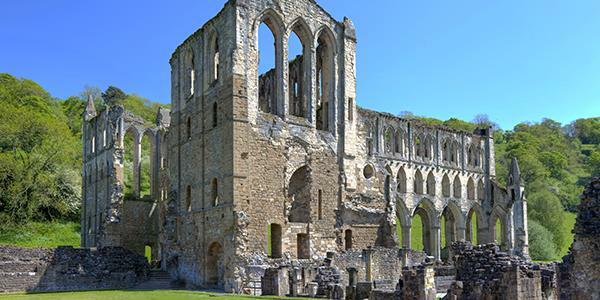 The abbey was first founded in the 12th century but a remarkable portion still stands today. You can wander through the medieval arches and admire the stone architecture. Very close to Rosedale, the abbey can be reached from the B1257 off the A170. It should take you about half an hour. The site is open daily from 10am – 5pm. 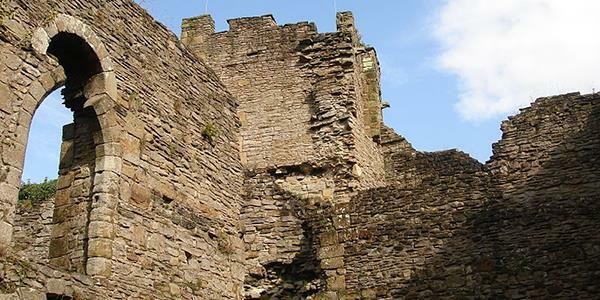 This English Heritage-owned building was the childhood home of Richard III. Though roofless, extensive remains still survive and sit amongst beautiful Wensleydale scenery. 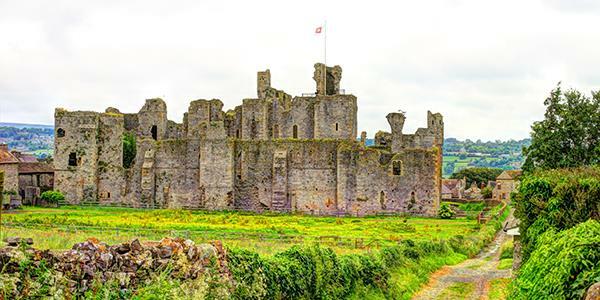 From the south-east corner tower, views of the surroundings include the town of Middleham, lovely countryside, and the original castle motte to the south-west. As you explore the ruins of this huge stone structure you will be able to visit the exhibition and learn of some of the castle's most notable past inhabitants. The walls of York form the longest example of medieval city walls in England and will lead you on a great walk around this famous city. Walls of some form or other have been in place defending York city since Roman times. Foundations and parts of the original still remain today. The current walls are wonderfully preserved and offer great views as well as an insight into this historic city's exciting past. If you fancy doing the whole circuit, that is doable but it is 3.4 km in length (roughly 2 miles). Alternatively you can pick a smaller section to complete. There are four medieval gateway buildings called 'bars' and some of these have mini museums or tea rooms you can visit. You can walk the walls any time between 8am and dusk. For safety they are not accessible after dark. You can park in a number of locations around the city and enter the Wall Walk from any of the stone staircases that are located at the four main bars, three minor gateways and several other locations. 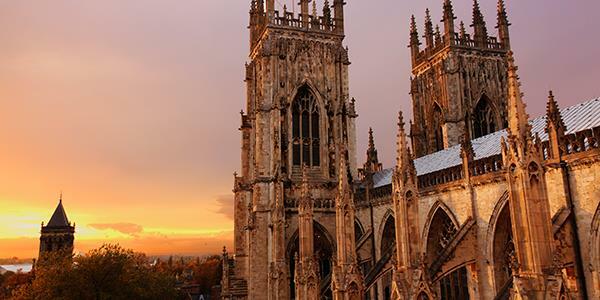 While you're in York walking the walls, you should certainly make time to visit the cathedral as well. This incredible structure is one of the largest of its kind in northern Europe and it houses the largest piece of stained glass in the world! The cathedral is wonderfully Gothic in appearance and inside you'll be able to admire very intricate architecture. The current building, which dates in parts from the 13th century, still stands on the previous Norman foundations. Located in the heart of the city, the cathedral is hard to miss. You can find it using the postcode YO1 7HH and there are lots of places to have a wander nearby. Originally built to subdue a disorderly England, Richmond castle is an extensive Norman fortress located in the north of Yorkshire. Perched in a dramatic position, the atmospheric ruins overlook the river Swale. On the south side of the surrounding curtain wall is the 11th century Scolland's Hall, one of the most important examples of domestic medieval architecture in England. Also onsite is an exhibition to explore which tells the tale of the conscientious objectors and displays a number of artefacts. 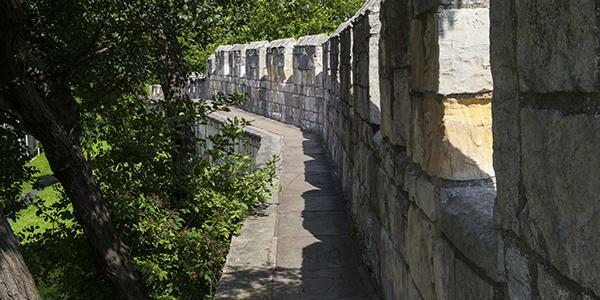 As you wander the beautiful ruins, you can visit the contemporary heritage garden and you'll be rewarded with stunning views of the surrounding Yorkshire Dales and the town of Richmond. Just off the A1, Richmond castle is located within the town of the same name and is about an hour and a half from Rosedale. It's open between 10am – 5pm.